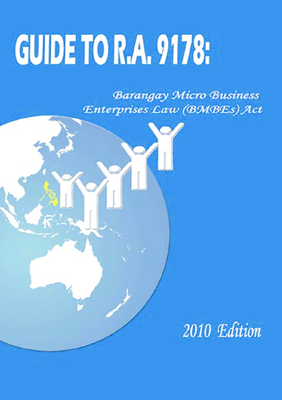 DAO No 17-03 Revised lmplementing Guidelines for the Administration of the BMBE Development Fund under Section 10 of Republic Act 9178, Otherwise Known as the Barangay Micro Business Enterprises Act of 2002…. Registration Guidelines. IMPORTANT NOTE: Please see link on latest update regarding places of registration and registration requirements. What are the Incentives and Benefits of being registered as BMBE? Here are some major points or questions most people have with regards to being a BMBE. A BMBE is defined under the BMBE Law, RA. 9178 Act of 2002 as “any business enterprise engaged in production, processing, or manufacturing of products, including agro-processing, as well as trading and services, with total assets of not more than P3 million.